Order in the next 11 hours 32 minutes for delivery on Friday, April 26. For engraving, order in the next 10 hours 33 minutes for delivery on Friday, April 26. 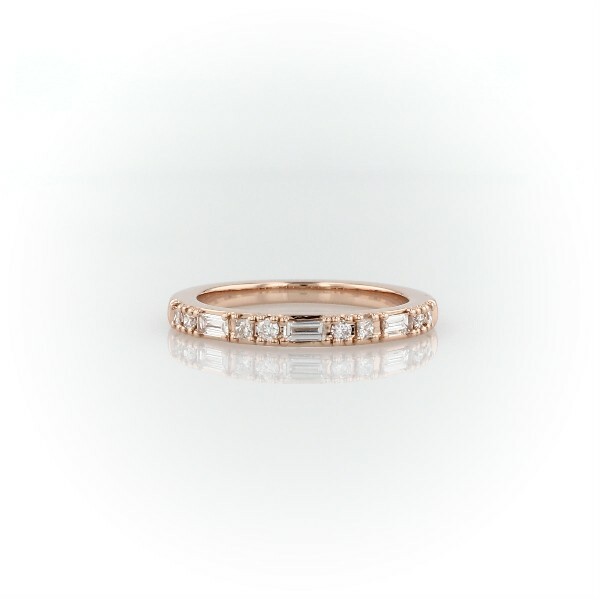 A variety diamond cuts - princess, round and baguette - combined with the 14k rose gold, give this dot dash anniversary ring an unmistakably modern effect. A perfect match with stock number 73608.